Without doubt the best defender in the Premier League this season, it's fair to suggest that ​Liverpool wouldn't be in a title race if it weren't for Virgil van Dijk. 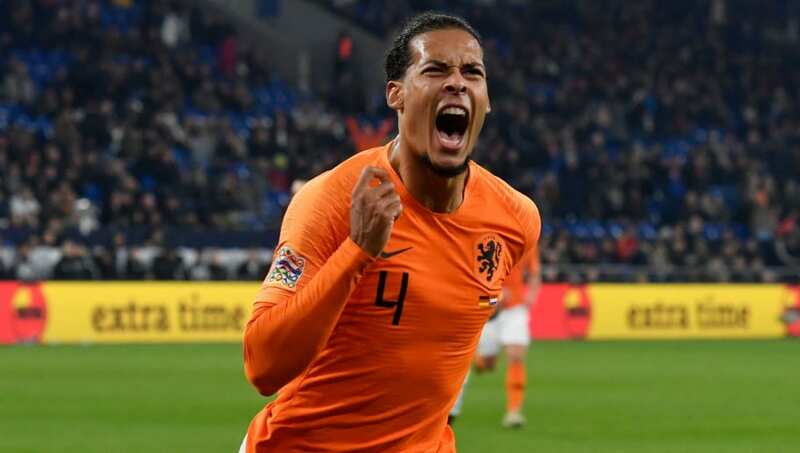 His last international appearance saw him score the winning goal against Germany to secure qualification to the Nations League finals and he'll have the chance to repeat that feat next Sunday. He'll also be joined by fellow Dutchman ​Georginio Wijnaldum. ​Dejan Lovren has fallen out of favour at Liverpool in 2019, failing to get into the starting XI ahead of Joel Matip amid injury troubles, but that hasn't stopped him from earning a call up to the Croatia squad. Alisson and Fabinho joined their compatriot ​Roberto Firmino at Liverpool last season and both have slotted in seamlessly. ​Arguably the most in-form player in Europe right now, ​Sadio Mane has stepped up to the plate when Liverpool have needed him most. ​Trent Alexander-Arnold has recently returned from a short injury layoff and appears to firing on all cylinders, performing well since being reinstated at right-back. Meanwhile, ​Jordan Henderson missed Liverpool's win against Fulham at the weekend, but has now been deemed fit to return to action. ​Elsewhere, Divock Origi and Simon Mignolet both earned call ups to the Belgium squad, whilst Ben Woodburn and loanee Harry Wilson will be in action for Wales.